Black Bulls AW (Anti Wear) Hydraulic Oils are high performance, anti-wear products for all types of hydraulic systems found on industrial, agriculture, construction and automotive equipment. Made from highly refined virgin mineral oil and blended with rust and oxidation inhibitors. 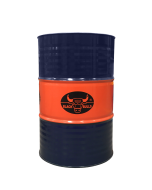 All grades of Black Bulls hydraulic fluids meet Cincinnati Milacron and Vickers hydraulic oil specifications. Minimum viscosity changes over a wide temperature range. Meets Cincinnati Milacron and Vickers hydraulic oil specifications. 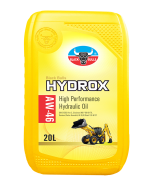 Black Bulls AW Hydraulic lubricants are most commonly used for hydraulic systems with vane, piston, or gear-type pumps, also compatible to lubricate lightly loaded reciprocating compressors.